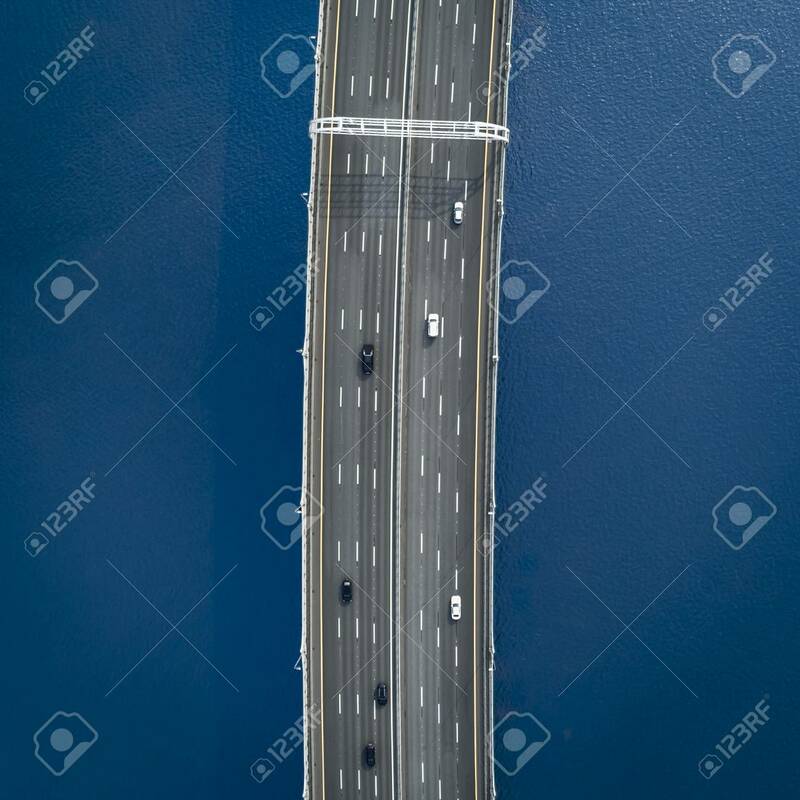 Aerial View Of A High Way Road On The Bridge. Top View, Isolated On Black, Black And White Photography Lizenzfreie Fotos, Bilder Und Stock Fotografie. Image 109577803.